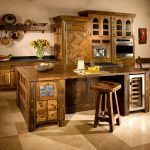 This unique custom island with cooktop includes a built-in wine cooler, the cooktop and an oven. 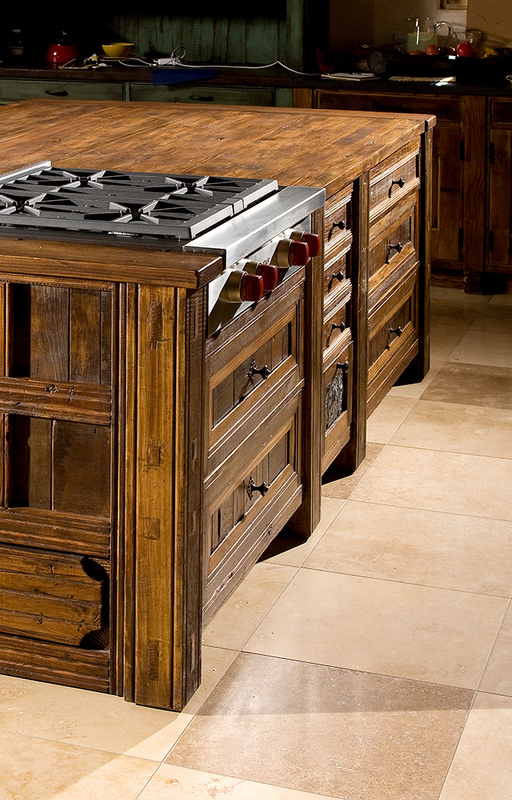 Wooden panels disguise the oven, while the cooktop is built into the countertop. 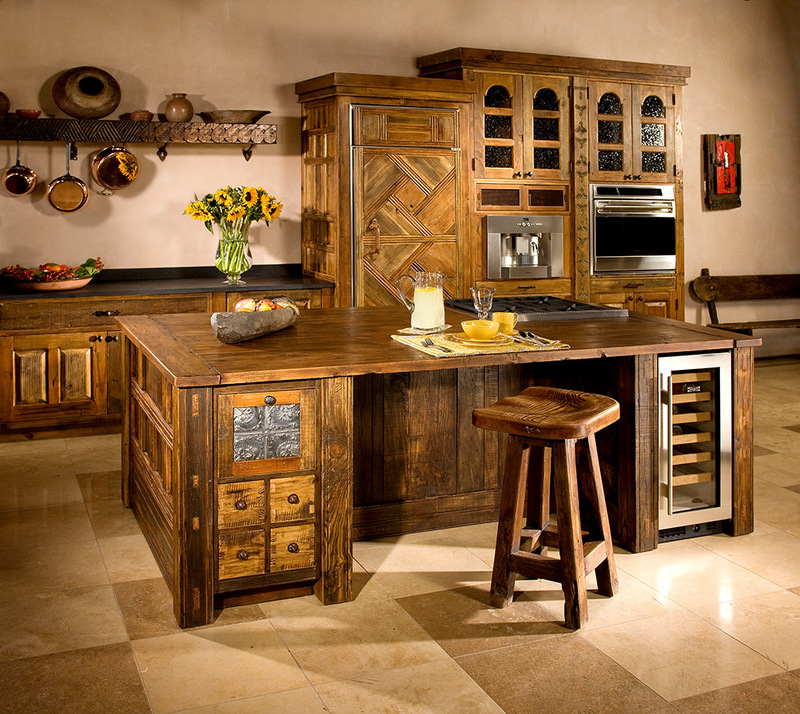 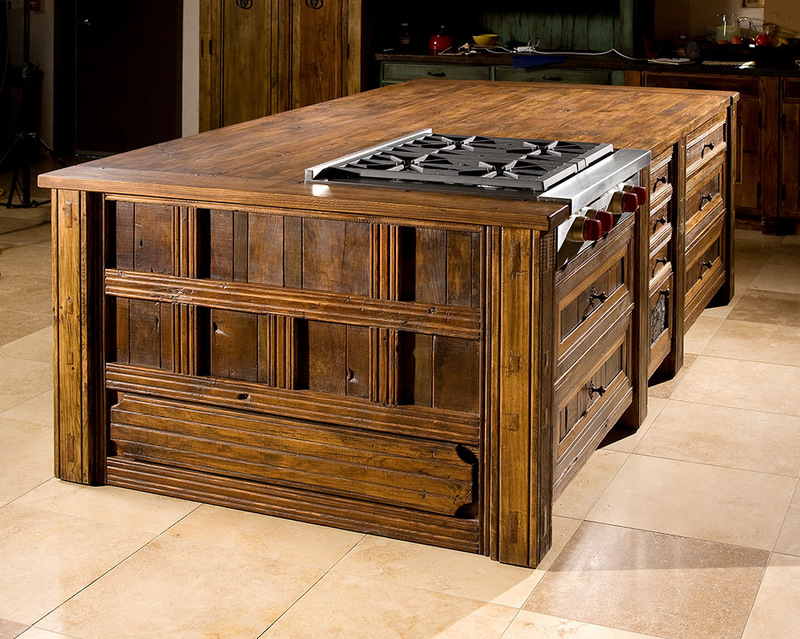 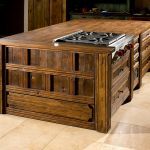 Constructed from reclaimed woods, the panels were carved, distressed and finished with hand-rubbed custom colors to give an old world feel to this thoroughly modern custom kitchen island.